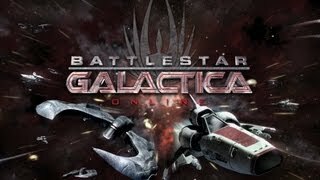 Battlestar Galactica Online game - the newest browser based multi-user product, which is based on the events of the eponymous television series. Considerably prolonged intergalactic conflict between the human civilization and the civilization of the robots must be resolved in the course of fierce battles. It should be noted that representatives of the robots had previously been under the full control of the human mind, but in one terrible day raised a bloody revolt.